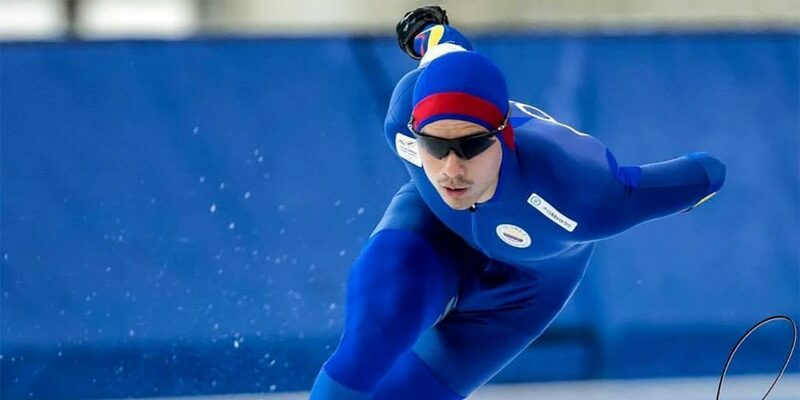 Colombia’s Pedro Causil on Monday became the first ever South American to take part in the speed skating finals of the Winter Olympic. Causil’s start at the 500 meters sprint in Pyeongchang wasn’t perfect, but it was a feat of epic proportions as he became the first Colombian to ever take part in a speed skating event of this magnitude. Colombia may not have speed skating facilities, but it is home to some of the world’s best inline skaters. Before switching to ice, Causil was a highly successful inline skater. Twice he became world champion of the sport that is extremely popular in his home country. The 26-year-old from the Caribbean city of Cartagena switched to speed skating with the intent of taking part in the Olympics that has yet to introduce inline skating. He put on ice skates in 2015 after winning gold and silver at the Panamerican Games to try his luck at the 500 meters for men. The switch proved successful; Caudil classified in December and became one of four sportsmen to represent his country at the Winter Olympics in South Korea.